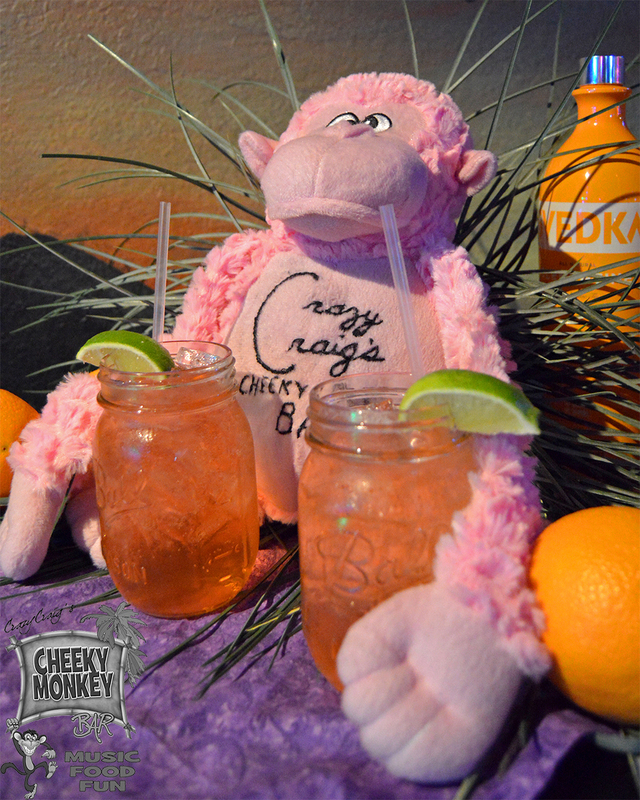 Crazy Craig’s Cheeky Monkey Bar’s selection of Signature Drinks are sure to wet your whistle and put a glide in yo’ stride! 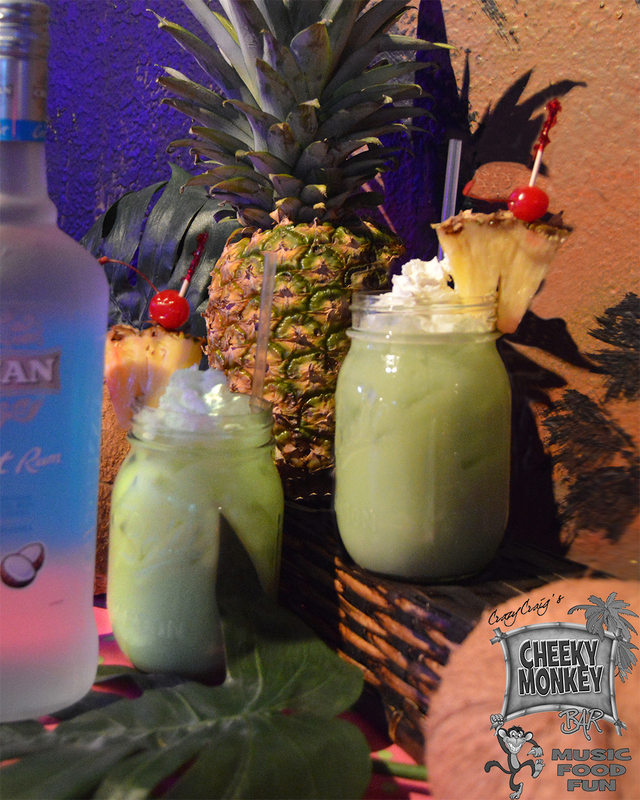 The crazy concoctions were dreamed up by our mix master monkey himself after decades spent in the industry. 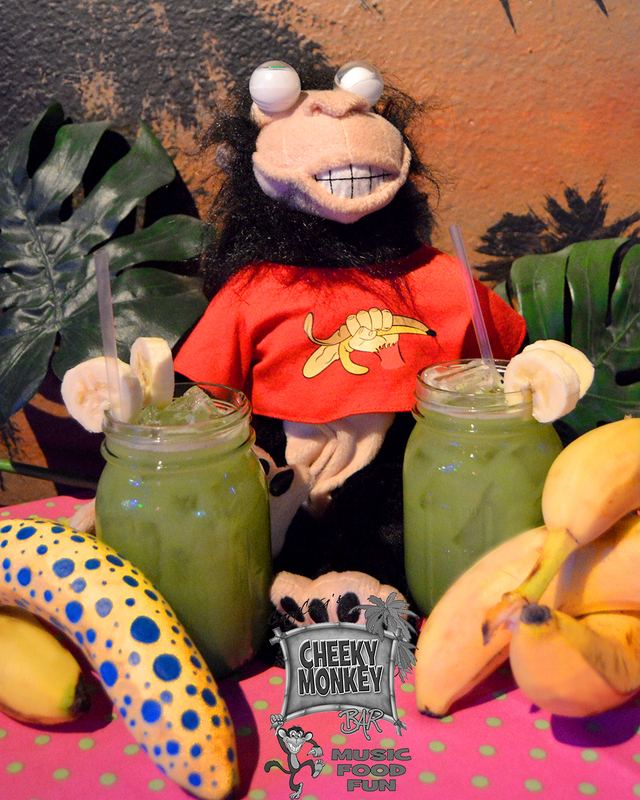 Our signature drinks are guaranteed to turn even Dull Danny and Debbie Downer in to Cheeky Monkey’s. 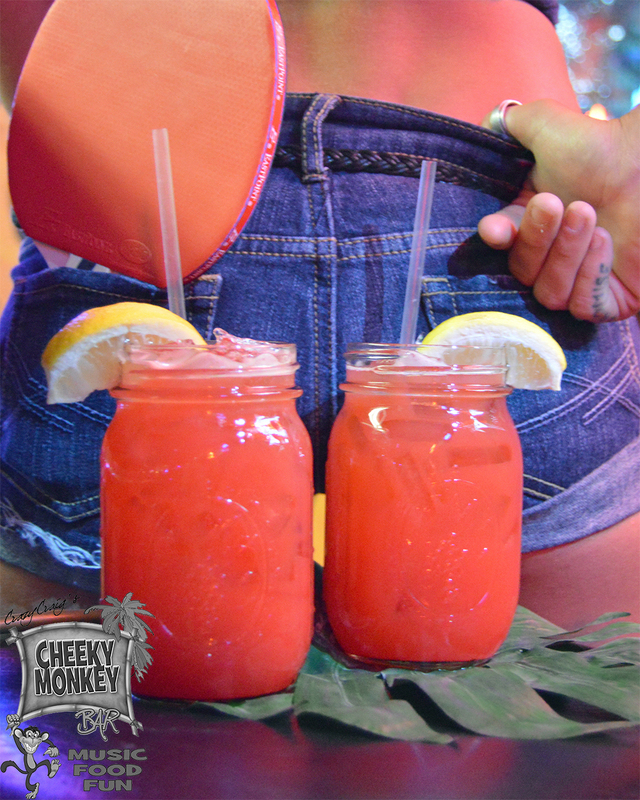 If you’re visiting Branson or a local to the area, one-stop into Cheeky Monkey & you’ll realize why we’re becoming Branson’s hottest nightspot. 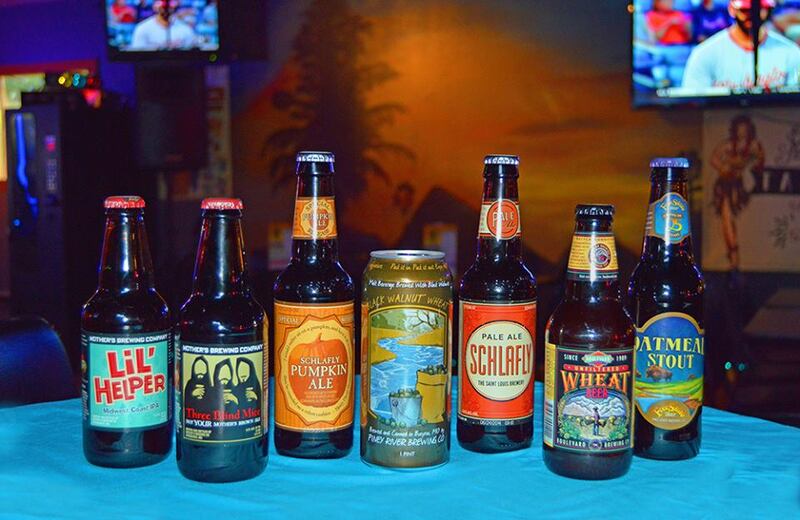 Our beer selection, cocktails and signature drinks are just a small reason to stop in. The Branson bar with the most weekly entertainment including live bands and live disc jockeys is, without question, Crazy Craig’s Cheeky Monkey Bar. Our huge dance floor and assortment of games will keep you entertained all night long with one of our signature drinks in your hands. 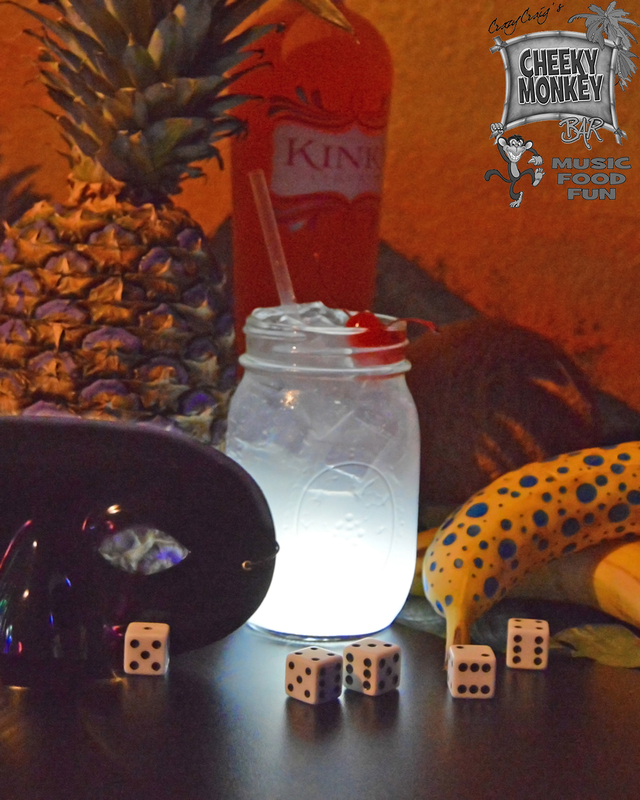 When people think Branson drinks & drink specials, they think Cheeky Monkey because our lineup of signature drinks & drink specials is second to none. And our bar in Branson is the #1 spot for great prices on drinks to go along with a super fun & safe atmosphere. 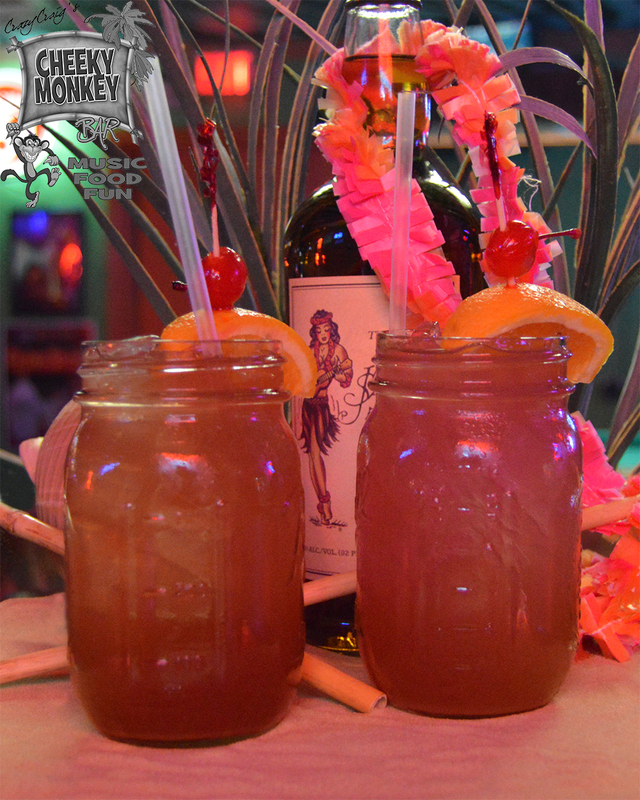 Monkey Mai Tai – Try our twist on an island Favorite! Made with Sailor Jerry Rum. 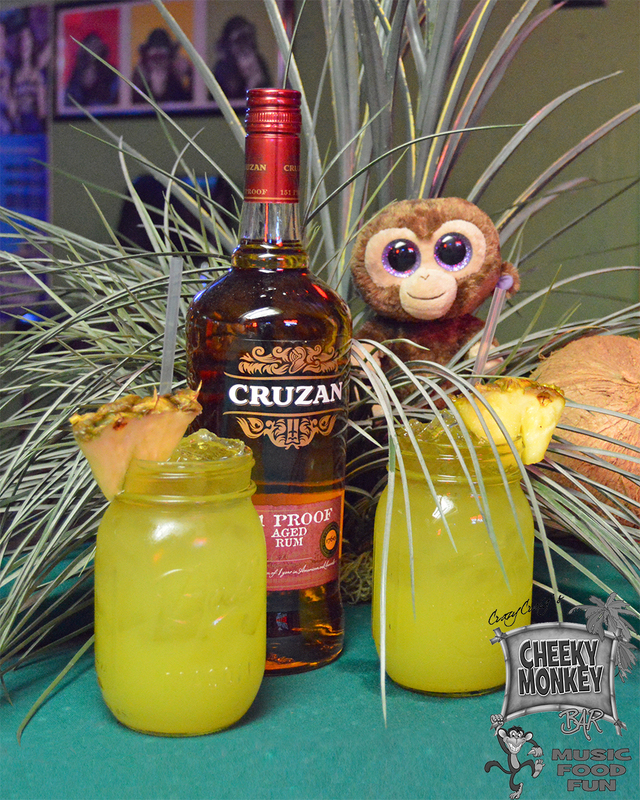 The Drunken Monkey – A Refreshing Juice Mixed Drink made with DeKuyper Peachtree Schnapps and Cruzan Navy Rum. 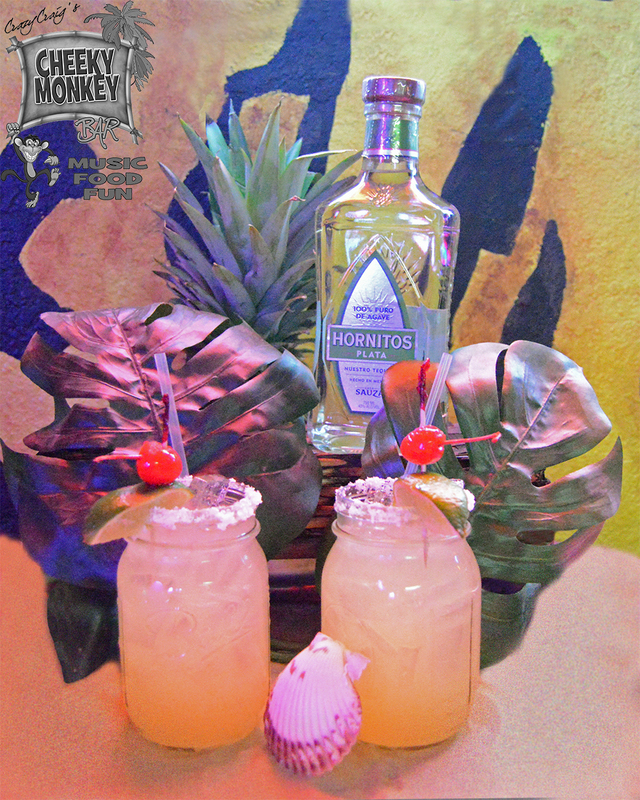 Monkey Margarita – A Tropical Margarita that will make your taste buds scream, “Tequila Party!” Made with Sauza Hornitos Tequila. Yes, Muy Bueno! 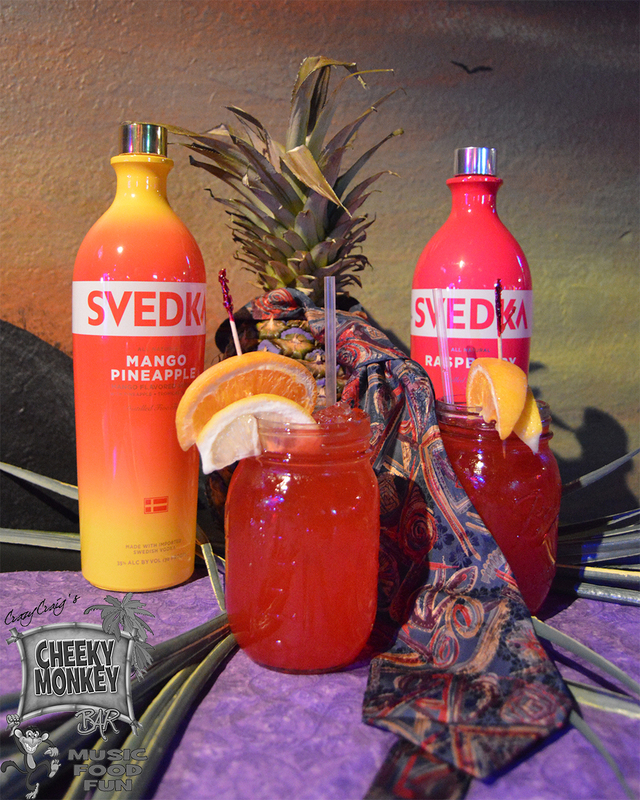 Monkey see Monkey Dew – Svedka Clementine Orange Vodka, Dekuyper Pucker Watermelon Schnapps, & Mountain Dew. Makes you go crazy like a Spider Monkey! 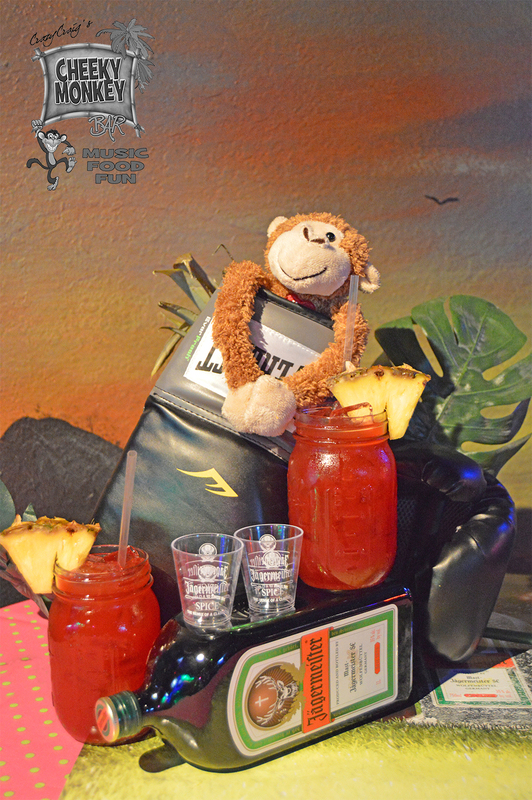 Monkey Punch – Jagermeister, Hiram Walker Peach Schnapps, Pineapple Juice & Cranberry Juice. This pinch, it’s a knockout! 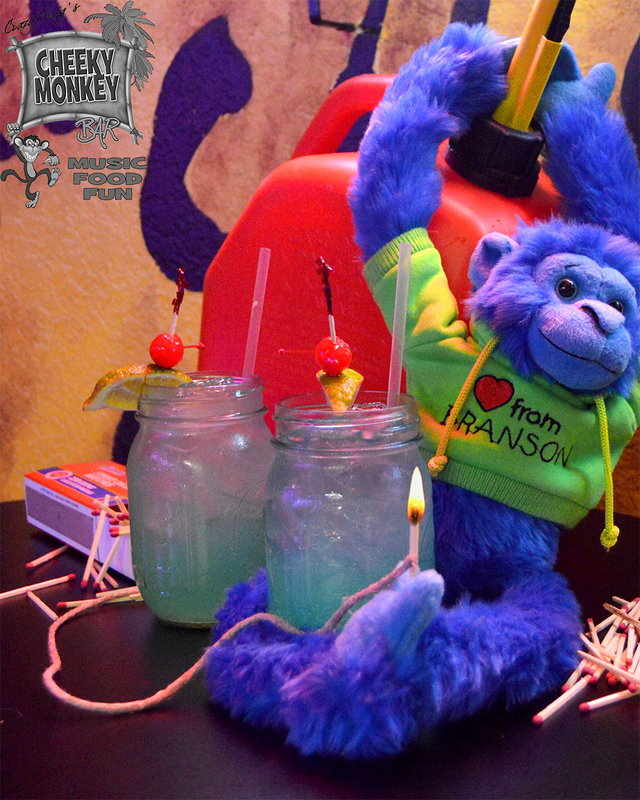 Going Bananas – Cruzan Banana & Coconut Rums, mixed with a Super Sour mix, a splash of Dekuyper Blue Curacao & Sprite. Makes you want to climb a tree and go bananas! 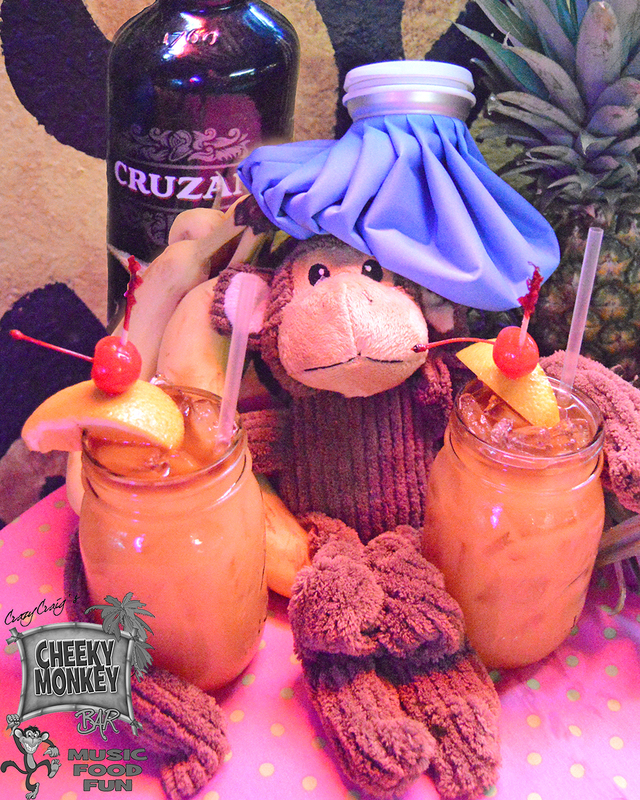 Monkey Colada – A refreshing Pina Colada with Cruzan Coconut Rum, Pineapple Juice, Orange Juice, and DeKuyper Blue Curacao, topped with whipped cream and a cherry treat. 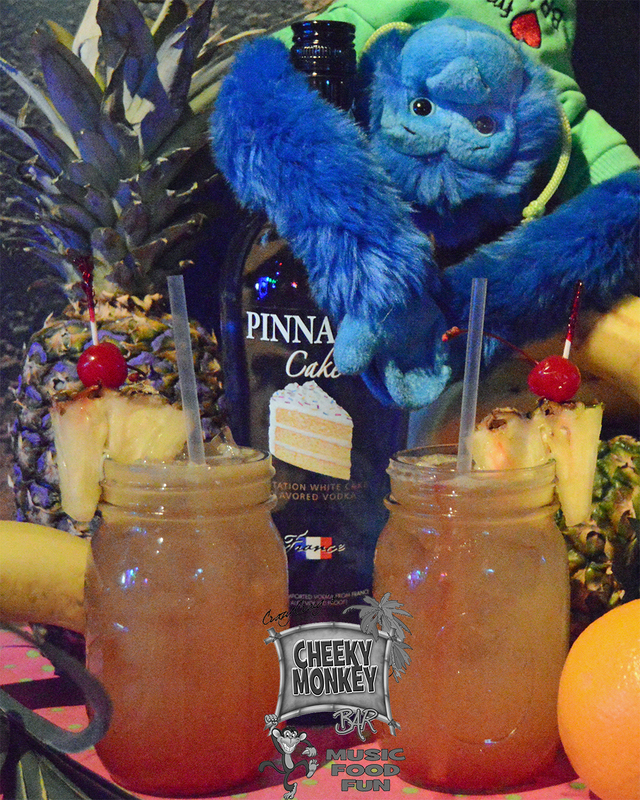 Upside Down Monkey Cake – Pinnacle Cake Vodka, DeKuyper Banana Liqueur, Pineapple Juice & Grenadine. This drink will have you hanging upside down from the trees. 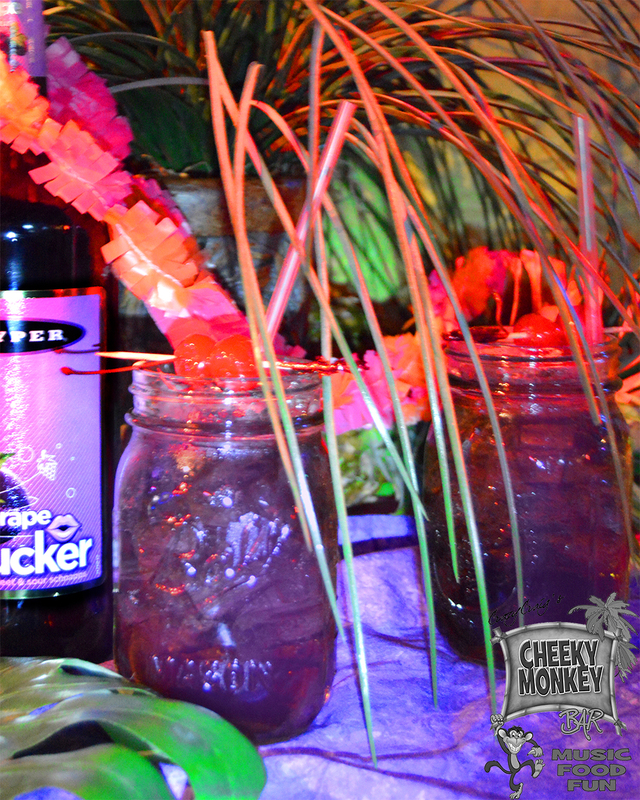 Grape Ape – Pinnacle Grape Vodka, DeKuyper Grape Pucker and Red Bull. Get ready to have a Grape night. 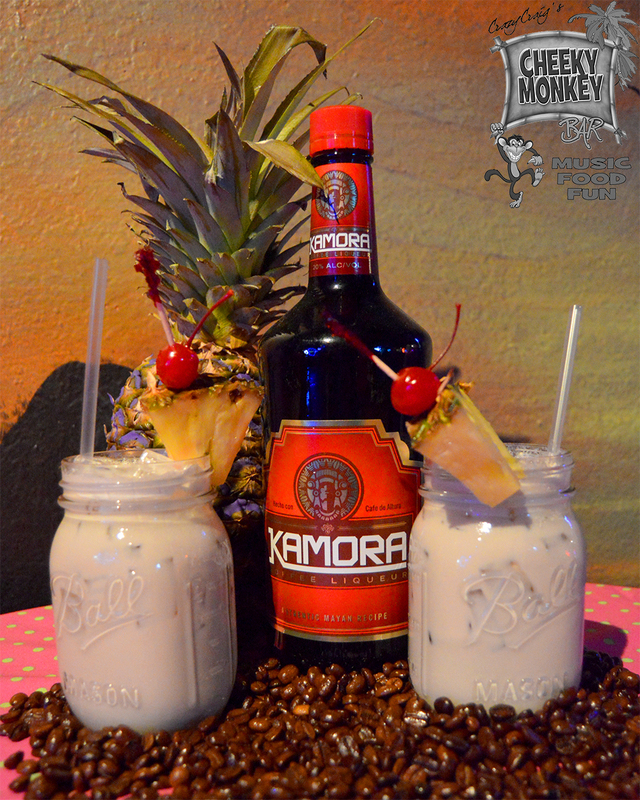 Tail Whip – Pinnacle Whipped Vodka, Kamora Coffee liqueur, Half and Half, & a splash of Pepsi. Makes you want to whip your tail all over the bar! 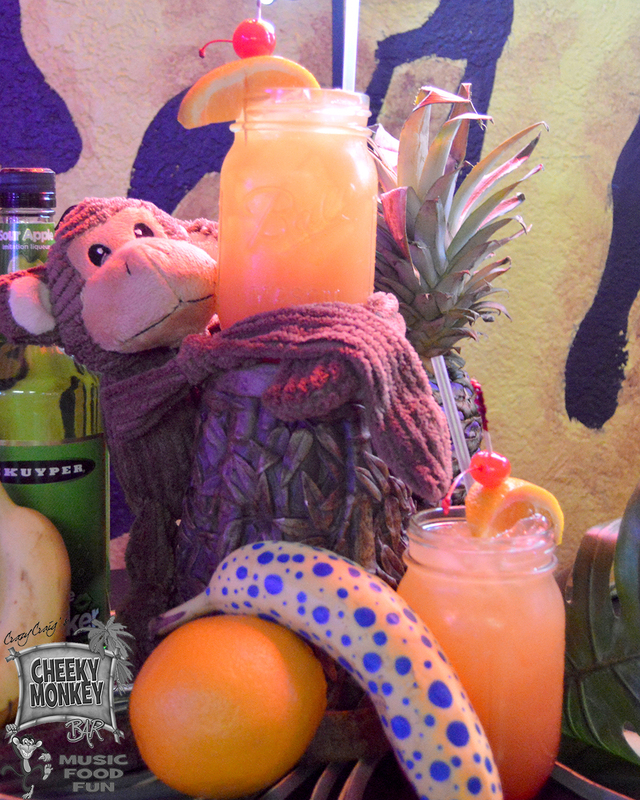 Curious Monkey – Bartender’s choice, don’t ask what’s in the drink. It will never be repeatable, but it will be delicious & refreshing. They will take flavor profiles and bring you something delicious either as a shot or a drink. It’s a curious Monkey because you’re curious what we put in it and we just make it once. All Domestics (Bud, Miller, Coors, PBR), Schlafly, Boulevard Wheat, Heineken, Sol, Bud Light Lime, Blue Moon, Corona, Guinness, Landshark, Leinenkugel Summer Shandy, Mother’s L’il Helper, Newcastle, Samuel Adams, Stella Artois, 1554, Angry Orchard, Smirnoff Ice and more. We add beers every month and as soon as they are distributed by our army of great beer distributors.